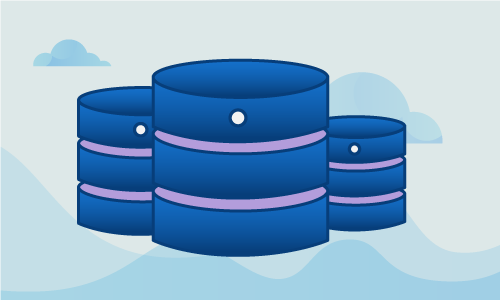 Galera Cluster is a plugin for MySQL which enables the Galera replication engine and lets you replicate your databases between servers in a synchronous master-master manner. 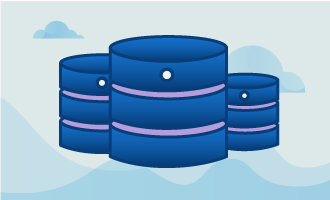 It requires the InnoDB database engine to be set as default for all replicated databases. It’s strongly recommended to run an odd number of Galera nodes to keep a healthy quorum. While there are MariaDB and Percona XtraDB version, we will cover the default MySQL installation in this tutorial. First, we’ll want to install the Codership repository, which contains the packages we need. We start that process by installing the python software-properties package, as it is needed to properly manage additional custom repositories. Then we need to create a repository file and add it in the source list, /etc/apt/sources.list.d/galera.list, so that apt can query the repository. Now that we have a new repository setup, we update the apt cache. Once this is done, only starting MySQL on each node remains. You now have a working MySQL instance on each node. Once you have the packages installed, you will want to ensure that connectivity to MySQL is possible between nodes. Start by pinging each node from each other. If all is well, modify the mysql configuration at /etc/mysql/my.cnf so that MySQL binds on all ip addresses or, modify it to bind to your preferred MySQL communication IP. The 0.0.0.0 represent a wildcard IP and means that mysql listens on all server IPs. Then, try to connect to the MySQL server on the other nodes. There are a few things to change and consider here. First of all, the default storage engine line is necessary, because Galera can only replicate innodb databases. The wsrep_cluster_name is the name of your galera setup. It will need to be the same on each server. Wsrep_cluster_address is where each node is defined. You may want to start your first node with “gcomm://” instead, or else Galera will try to connect to the other nodes and fail as they are not started yet. The wsrep_sst_auth line indicates the method Galera will use to send large chunks of data from one node to the other when one of the nodes is too far behind. The three options here are Rsync (the fastest), MySQLdump (the slowest) or Xtrabackup. Rsync locks the database for the donor node, MySQLdump too, but Xtrabackup does not. The last line is a MySQL user and password used for replication. If using MySQLdump, it needs to be the MySQL root password and the same root password must be used on all nodes. If using Xtrabackup, it can be a user that has access to all tables. Next, create the replication user on each node. We will also want the root user to be reachable remotely. Ubuntu has a special user called debian-sys-maint to do maintenance tasks on MySQL. Because of the database replication, the maintenance operations will only continue to work properly on the first node, failing on the others. You will want to copy /etc/mysql/debian.cnf from the original node to the other nodes, so that the maintenance operations can continue to work. You will now have the first node up. On the other nodes, make sure your configuration is set properly and then restart MySQL. MySQL should take slightly longer than usual to start as it will sync with the main server. You now have a working master-master Galera cluster. The last step will be to verify that this setup is working. You can check that master-master replication is working properly by creating a database on one node and verifying that it exists on the other nodes. We will first login to a MySQL instance on one of the nodes. Then we create a new database. Next, we go on another node and check if our database is created there. If you see a database named test in the database list, it means the replication has worked flawlessly. You now have a fully functional Galera cluster. You may now want to configure your application to send queries to the cluster or setup a load-balancer to better control where the queries end up. In case you would be interested in using HAProxy for your load-balancing need, we have a knowledge base explaining how to setup HAProxy for use with MySQL. If this guide was helpful to you, kindly share it with others who may also be interested.